The CW has renewed some of their most beloved shows, while the fates of several others hang in the balance. The network has announced the renewal of ten shows in total, including Riverdale, Supernatural and the entirety of their DC Comics slate for the 2018-2019 season. This means that the vast majority of the network's scripted programming slate will return next season, which doesn't necessarily come as a surprise, as the network's strategy in regards to their scripted programming lineup in recent years has worked quite well for them. The full list of shows returning for at least one more season on The CW includes Arrow, Black Lightning, Crazy Ex-Girlfriend, Legends of Tomorrow, Dynasty, The Flash, Jane the Virgin, Riverdale, Supergirl and Supernatural. On the other side of the fence, shows like The 100, iZombie, Life Sentence and their new series Valor have yet to be renewed but the fates of those shows will be determined in May, alongside the network's new series orders. CW president Mark Pedowitz had this to say about the network's slate of renewals. "As The CW expands to a six-night, Sunday-through-Friday schedule next season, we are proud to have such a deep bench of great returning series for 2018-19. By picking these 10 series up for next season, we have a terrific selection of programming to choose from when we set our fall schedule in May, with more still to come. And I'm especially happy that we'll continue to work with the incredibly talented casts, producers and writers who create the series our fans are so passionate about." 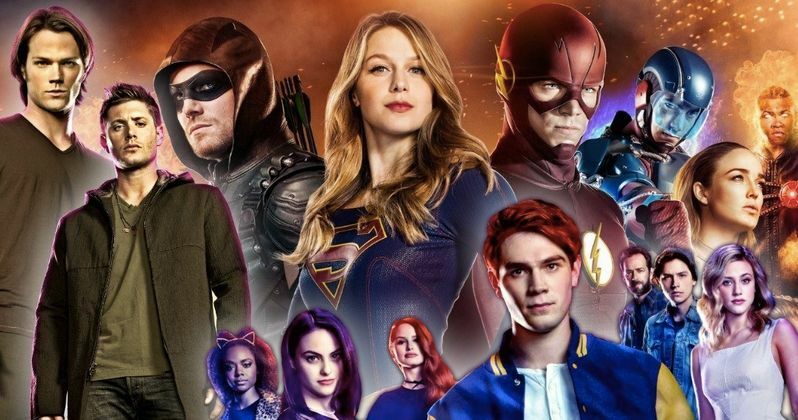 It's no surprise that the network has decided to bring back their Arrowverse lineup of shows, as their corner of the DC universe has been popular amongst fans and quite reliable in the ratings department. Though Black Lightning isn't technically included in that universe, the DC series has done well for the network since its debut. Of particular note, with Legends of Tomorrow season 4 now confirmed, we know that Matt Ryan will become a series regular on the new season as John Constantine, after a few guest appearances this year. Arrow will be heading into its seventh season and, though there's no sign that the network is looking to end the show, one has to imagine that they may be coming closer to running out of gas on that one. Outside of the DC Comics universe, it's no surprise that Riverdale scored a renewal. The series, based on Archie Comics, saw a huge ratings boost in season 2, largely thanks to Netflix. A reboot of Sabrina the Teenage Witch is actually being produced by Netflix as a result. Also worth pointing out, this means Supernatural will at least run for 14 seasons and will cross the 300 episode mark. That makes for a super impressive run, especially when considering just how popular the show still is. The CW is expanding to six nights a week of programming this upcoming season, but now they've got plenty to help fill those time slots. This news comes to us courtesy of The Hollywood Reporter.